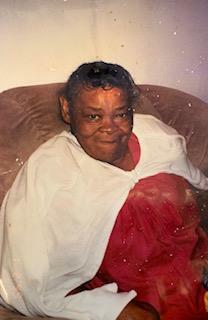 A homegoing service for Mrs. Bernice Grier Thomas of Tampa, Florida who passed away on Wednesday, March 13, 2019, will be held on Saturday, March 23rd, 11:00 a.m. at Northside M.B. Church, 5706 N. 40th Street, Rev. Ricardo Robinson, pastor officiating. The interment will be in Orange Hill Cemetery. Bernice was born April 8, 1931 to the late Jimmy Parker Grier and Birdie Grier in Parrott, Georgia. At a very early age, she accepted Christ her Savior and served as a faithful member at Northside M.B. Church, under the leadership of the late Rev. Jacob Jordan, until her health failed her. She attended high school in Dawson, Georgia, where she graduated from Helen Girl High School and then later relocated to Tampa, Florida with her family. She moved to Miami, Florida to be united in holy matrimony to Danny Thomas. After allowing the Lord to re-define her gift, she became an entrepreneur. She used her love for children and opened a daycare nursery, where she raised many children. She returned back to Tampa, Florida, where she resided until the Lord called her home. She was preceded in death by her husband, Danny Thomas; 8 sisters and 2 brothers. She leaves to cherish her fond memories: sister, Zepherine Pringle; sister-in-law, Hattie Grier; devoted niece and caregiver, Charlene Perkins; 10 nieces, 11 nephews, and a host of great nieces, nephews, cousins, extended family and friends of Tampa and a host of family of Georgia. The visitation will be held at Aikens Funeral Home on Friday, March 22nd, from 5:00 to 7:00 p.m. The family will receive guest from 5:00 to 6:00 p.m. The family and friends are asked to meet at the church on Saturday for the service.